Like Christians have the day of Sunday when all go to church to attend the mass, there is the Friday among Muslims – a day on which Muslims go to offer Jummah prayer in congregation and listen to the Khutba. 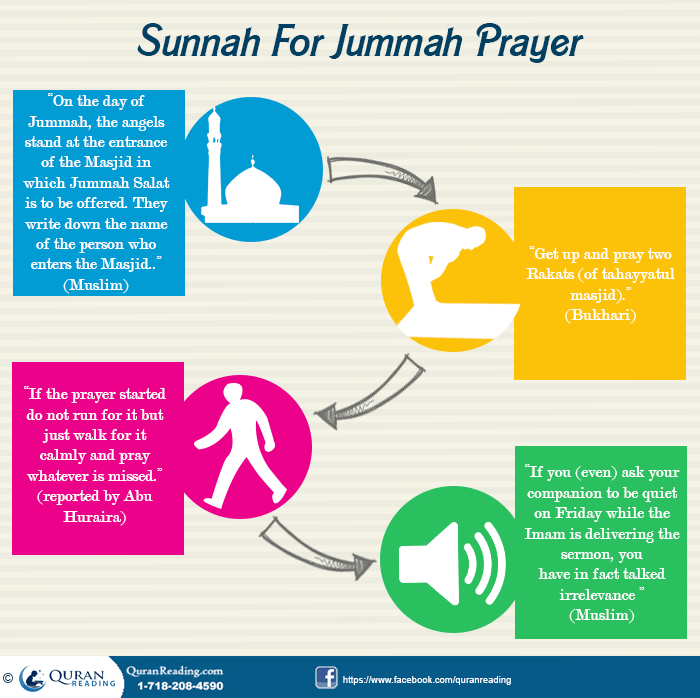 Going for Jummah prayer does not mean that Muslim do not offer any other prayer in congregation, rather every Muslim prayer is encouraged to be offered in congregation, however, the Jummah prayer is special because of the day itself and the Khutba that comes with the prayer. From the ayah the importance and significance of the Jummah prayer is evident. It is a prayer for which Allah tells Muslims to leave everything they are doing and ensure their presence in the mosque. Moreover, this ayah also makes clear that the prayer of Jummah is not limited to Salat only, rather the remembrance of Allah, which is the Khutbah is also an integral part of the Jummah prayer and should not be overlooked or undermined in anyway. With regards to Jummah prayers, there are key factors which one should consider as etiquettes. The lines below discuss those etiquettes so that a Muslim can ensure them and offer the Jummah prayer as well as celebrate the day in the best possible manner. This hadith of Prophet (PBUH) tells of a variety of things about Jummah prayer. The first thing is that those who come to the prayer earlier receive a higher or greater reward compared to those who arrive later. Secondly, if one enters the mosque once the Khutbah has started then one does not receive any special reward, rather at that time the reward left for a person is of a regular Zuhr prayer. Therefore, if you wish to attain greater reward, then you must ensure that you arrive at the mosque as early as possible and listen to Khutbah prior to offering prayer. This hadith shows that whoever goes for Jummah prayer, in addition to listening the sermon and then offering the obligatory prayer, he must offer two Rakats of Tahayyatul masjid. These are the prayers which one offers when he enters the mosque. The thing to notice in this regard is that offering these two rakats is only possible when one goes to the mosque before the start of the Khutbah, as when the Khutbah starts one should refrain from doing anything which includes prayers as well. Therefore, a Muslim must try going to the mosque as early as possible and offer Tahayyatul Masjid Rakats there before anything. This hadith shows that one must never become hastily if one unfortunately runs short of time with regards to offering Jummah prayer. This rule is applicable on all the prayers, therefore, Jummah is no exception. The reason why calmness is encouraged in people is commended when going for prayer is because offering of prayer requires a certain level of dignity which should be observed when a person is going to offer the prayer. Therefore, firstly one should go for Jummah prayers before hand, however, if you run short of time, then you should not go to the mosque hastily or in a hurry, rather you should go for it in the same manner as you would go for prayers in ordinary circumstances – with dignity and serenity. From the hadith it is clear that when the Imam starts the Khutbah one must leave everything and listen to the Khutbah attentively. The level of attention should be such that one should also refrain from telling something good to anyone or telling others to listen to the Khutbah, because any act during that time diverts the attention of others. 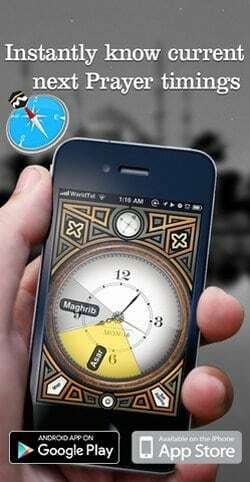 In short, Friday is the most blessed day of all and the prayer of Jummah is the jewel in the crown of this day. A Muslim must make special preparations on Friday for the prayer and consider the listening of Khutba an integral part of the whole Jummah prayer package in order to gain maximum blessings in this virtuous day.